Hvordan oppleves det for saharawier å komme til flyktningleirene i Algerie etter å ha fulgt utdanning i utlandet? Ny masteroppgave fra UiB ser på de rotløse ungdommene i flyktningleirene. Spanske Beatriz Muñoz Mallén fullførte i 2014 en mastergrad i sosialantropologi på Universitetet i Bergen. Muñoz studerte hvordan det er for ferdigutdannete saharawier å returnere fra Cuba til flyktningleirene. Cuba er et av svært få land i verden som tilbyr skoleplass til de saharawiske flyktningene. 30 years ago, Cuba decided to include the Sahrawi in their education aid program for developing countries. 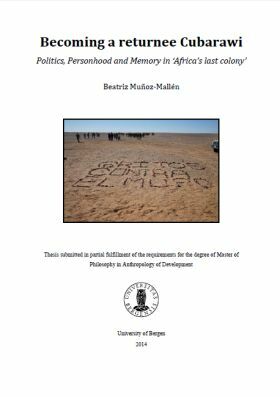 My aim in this thesis is to present and analyze those young Sahrawi studying in Cuba, known as ‘Cubarawi’. My main argument is that long-term residence in Cuba has shaped the personhood, mind and actions of this youth, placing an important weight on Gramsci’s concept of ‘ideology’. In order to back my argument, I use different analytical concepts, each referring to and helping analyze various aspects of my ethnographic material, including personhood, cultural identity, memory and politics. To understand why the Cubarawis keep their Cuban identity alive in the camps, I use Hall’s definition of identity as a continuous process of becoming, supported by Ortiz’s ‘transculturation’ and Turner’s perspective of being ‘betwixt and between’. Müller’s ‘memories of paradise’ helps explaining their time in the island and the fond memories from that period. The reason they are sent to Cuba is to get a higher university degree. I argue that the students are a mere instrument, as it is upon the Polisario to choose the studies of the Cubarawis according to the ‘nation’s needs’. Education also helps them embody the Cuban ideology. Using Bourdieu’s ‘habitus’ I show how the social practices of Cuba are internalized and embodied by the Sahrawis. 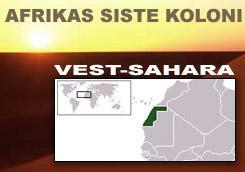 along frustration and disenchantment because of what they understand as the Polisario donothing policy. Using Honwana’s concept of ‘waithood’, I present how the youth is channeling that frustration with active and creative alternatives. Scott’s ‘weapons of the weak’ helps presenting ideas of non-violent resistance, while Dudouet’s theories of armed resistance, gives voice to the youth who are ready to take up arms to get a solution for their conflict. At the same time, I show how this idea is gaining strength among the frustrated youth.